In his 29th year of service to The Wexner Foundation, and after 13 years as its President, Larry Moses serves as the Foundation’s Senior Philanthropic Advisor. He was the Founding Director of the Wexner Graduate Fellowship Program in 1987, and later Foundation Vice President. As Leslie and Abigail Wexner’s senior advisor, he plays a key role in organizing the family’s philanthropic activities and works closely with Jewish philanthropists and public leaders in Central Ohio, throughout North America and across the globe. Formerly, Larry served in Washington, DC as the International Director of Hillel (1984-1987), and previously as Executive Director of the Bureau of Jewish Education in San Francisco. Larry’s scholarly interests rest largely in the arena of Holocaust studies. His mother was a survivor of the concentration camp Auschwitz, and he has taught extensively on various historical, theological and human dimensions of the Holocaust. Larry received a BA in philosophy from Indiana University, an MA in modern Jewish history from the Baltimore Hebrew University, and an MSW from the University of Maryland School of Social Work and Community Planning. 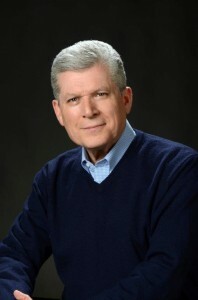 He is the recipient of numerous professional awards and distinctions and serves on a number of boards, including as an officer of the Board of Directors of the Jewish Funders Network, as a Board and Executive Committee member of Hillel International and as a member of the External Advisory Committee for the USC Shoah Foundation’s Visual History Archive. He is married to Dr. Susan Steinman, who is a psychotherapist, researcher and author. They are the parents of Alana Moses (Brandeis ‘08), who is a PhD in clinical psychology and is currently doing post-doctoral work in New York, and Danielle Moses (Bard College ’12), who is in her second year of the MSW program at the Silver School of Social Work at New York University.